Things are heating up on the Singapore GameFEST 2010 (SGF) programme roster. The digital fest of the year will feature a ton of games fighting for your attention during the four days of SGF. SCOGA would like to highlight a few must-see games and activities for your enjoyment when you visit SGF! Another big title being featured is Heroes of Newerth (HoN) an action packed team RTS in the mould of DotA. HoN has since gained a global following, and will be featured as the main game in an international tournament called the Digital Youth Awards (DYA) Digital Sports Category Global Finals. The DYA HoN Finals will be held in Singapore for the first time, and six international teams, as well as two Singaporean teams will duke it out for the glory of being Digital Youth Awards (DYA) Digital Sports Category champions. Catch Singapore’s representatives, Team Impunity (iMp) and PMS|Asterisk* in action at *SCAPE’s Warehouse (Auditorium) during SGF! If you want to get your hands into the competitive action, then check out the action at EPIC e-Sports Convention. The most exciting local e-Sports Tournament of the year, EPIC is an initiative spearheaded by the People’s Association Youth Movement Telok Blangah Youth Executive Committee. Games featured include DotA, Blackshot, Super Street Fighter IV and StarCraft II; and winners stand to walk away with cash prizes. Due to popular demand, even though more than 200 gamers have signed up to date, registrations have re-opened and will close on 19th Nov. More details about EPIC can be found here. IAHGames will be hosting a variety of tournaments, the biggest of all being a Dragonica PvP competition. There will also be casual tournaments for FIFA Online 2 and Counter-Strike Online. These tournaments are mostly ad hoc, and sign ups are on-site only, so be sure to come down on all three days of SGF ensure you are not left out of the fun. 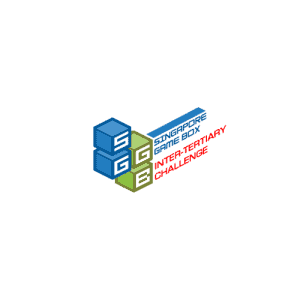 SGF will be the launching pad for the Singapore GameBox Inter-Tertiary Challenge (SGGB ITC) – an eight week competition for tertiary students, featuring local games. The games featured are fun, high quality, competition-ready and all made in Singapore. SCOGA put in a lot of effort in selecting the most suitable games for the SGGB ITC, and we are confident the gamers will enjoy themselves. Check the games out at the Singapore GameBox ITC site, or during the first day during the Opening Ceremony of SGF. Developers from all five of the games being featured in SGGB ITC will be giving talks and conducting a workshop on how to play their games.